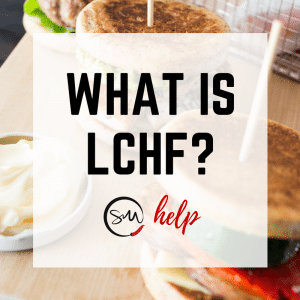 LCHF also known as Low Carb Healthy Fats or Low Carb High Fats, is a way of eating where you lower your carbs and increase your fats. The main aim for weight loss is to go into ketosis. This is where your body uses your own stores for energy, instead of burning carbs. There are varying levels of how strict the guidelines can be for a ketogenic diet. We recommend reading as much as you can to expand your understanding of LCHF, before starting. Within the cookbooks you may notice that there are Low Carb variations and even some LCHF recipes on the website. Most Skinnymixers recipes can easily be adapted to fit LCHF, if you have any questions just ask in the Skinnymixers Facebook Group. To see the dietary guides for the cookbooks you can view them in the Skinnymixers Shop by clicking through to the books. We also have a couple of Free LCHF Meal Plans available.